Toronto Police is seeking the public’s help nabbing a suspect wanted in connection with a sexual assault. It is reported that, on April 17 at around 9 a.m., a woman was shopping at a store at Gerrard Square Shopping Centre, 1000 Gerrard St., when a man approached her from behind and sexually assaulted her. When she attempted to confront him, the suspect fled the store on foot, ran to a parked car and left the area in an unknown direction. The man is described as in his 20s, 5’8” - 5’10”, thin-to-average build with straight brown hair and a goatee. 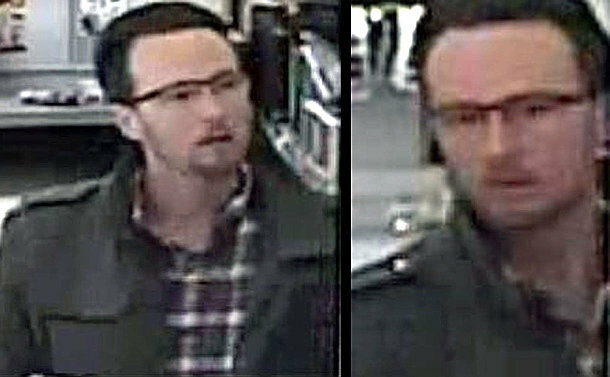 He was wearing a red-and-white plaid shirt with buttons, blue jeans and a grey knee-length jacket with epaulettes and black shoes. He was also wearing black-framed glasses with clear lenses. The suspect was seen getting into a dark four-door Mercedes sedan. Anyone with information is asked to contact 55 Division at 416-808-5500, Crime Stoppers anonymously at 416-222-TIPS(8477), online at 222tips.com, text TOR and your message to CRIMES (274637). Download the free Crime Stoppers Mobile App on iTunes, Google Play or Blackberry App World.